Last week I was very honoured to be invited to a special garden event at Loseley Park after they had seen my blog post about the garden earlier in the month. 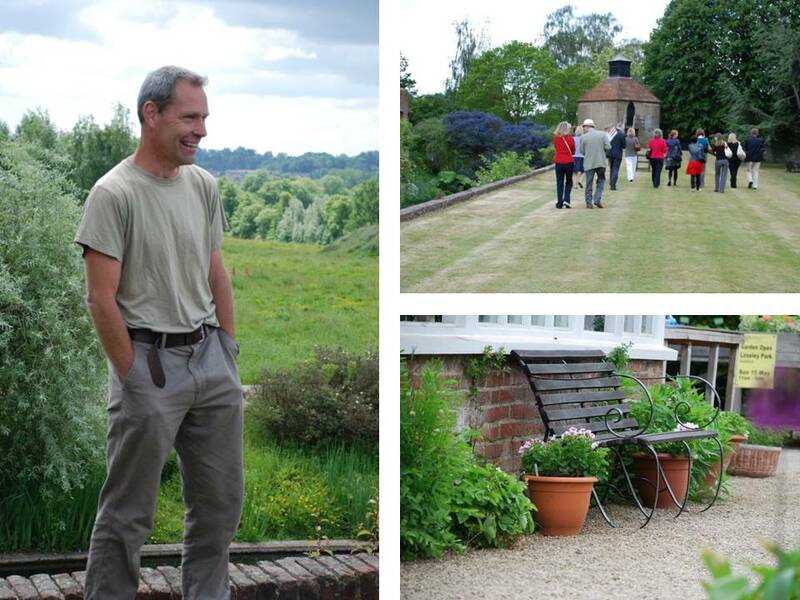 We were given a fabulous tour of the gardens by Head Gardener, Burney, who has developed them over the past 17 years. We then finished the day with a scrummy lunch in the new restaurant and a tour of the house by owner, Michael More-Molyneux. The thing that struck me most was the passion of everyone involved in keeping the estate alive! Burney talked to us about his connection with the garden. He feels it is very much a family garden – his children have grown up in it and he hopes that visitors to the garden get this sense when they explore it. I certainly get that feeling about the garden, as I’ve mentioned before, I love the garden there because it has an informal feel about it, almost as if it could be my own. 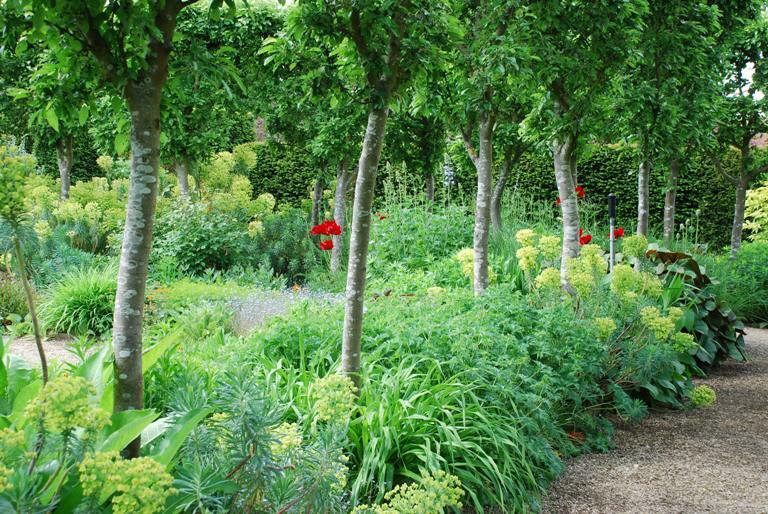 Each year Burney and his colleagues develop a new area within the garden, partly to give new interest for returning visitors, but mostly to keep the garden alive. 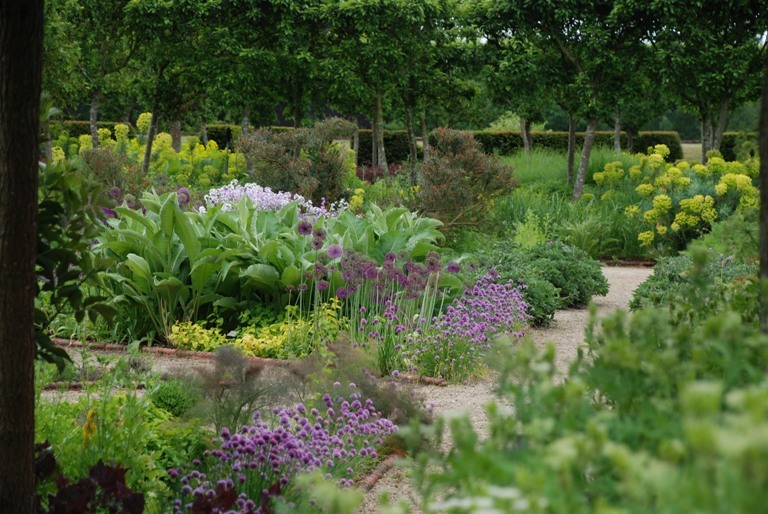 This year they are developing a Gertrude Jekyll border in the walled garden. 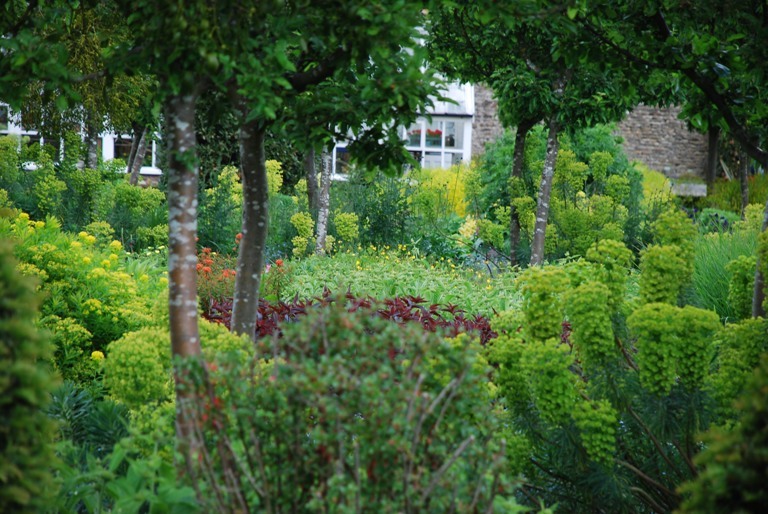 Gertrude Jekyll was associated with the garden in the early 1900s so the planting scheme will be designed with her planting style and colour scheme in mind, more a tribute of her work than an exact replica of her designs. One of the future plans for the garden is to build a bridge over the moat that will lead to the wild flower meadow beyond. This will give visitors the chance to meander through the flowers on a series of mown paths, an area that they can only view from a distance at the moment. The planting at Loseley in the main garden is designed so that there is interest and colour from May to September so there is much to see whatever time you decide to visit. Over the next few months I will be running a special blog series about the garden and how it changes through the seasons so I hope that you’ll pop back to take a look.